Why A Manufactured Home or Building? Manufactured homes and buildings are an alternative to traditional site-built construction in which up to 90% of the construction takes place in a factory. These factory built or prefab buildings are almost entirely constructed in a factory. The frame, insulation, interior walls, carpet, wiring and more are all built out before the manufactured building is delivered. Factory construction is much faster than traditional construction, thanks to an absence of weather delays, no transportation issues with equipment or supplies, and a working environment that’s more consistent overall. The manufactured building is shipped to your destination in separate pieces. Once installed at your location, manufactured homes and buildings can be almost indistinguishable from traditional site-built construction. For long-term use and the best overall appearance, these buildings are the best type of prefab construction. Even though the manufactured building is created before it gets to you, you’ll have the chance to specify many details of it’s construction, including basic layout, lighting, interior finishes, and utility connections for HAVC, electricity, and plumbing. If appearance is important, there are many options available to improve the look of the exterior. Different types of façades, siding, and roof options can help make your manufactured building look more like a “regular” building. And don’t underestimate the power of landscaping; while a manufactured building may look awkward when it’s first installed, adding walkways, trees and shrubs, and other finishing touches can really make it blend in with its surroundings. With the economy the way it is today, having a backyard cottage, studio, or casita on your property makes room for aging parents, children returning home, additional income as a rental, room for a home office or hobby area. Ferris Homes has the ability to place manufactured homes such as these on your property as a secondary dwelling. Affordable field, vineyard and ranch worker manufactured housing is becoming extremely important in Northern California. Our factory built housing is specifically designed for workers, featuring approved HUD standards. Our manufactured housing meets State and Federal government grant programs. Ferris Home’s farm worker housing includes bedrooms, bathrooms, living areas and kitchens for the comfort of workers. Ferris Homes offers housing for 2, 4, 6, 8, 12 or duplexes for 16 workers. We can also custom design specifically for your needs. Manufactured homes and buildings are increasingly used for classrooms, libraries, music rooms, art rooms, and much more. Not only do schools save a considerable amount of money by choosing manufactured constructed classrooms, they also accelerate the construction process to fit within the strict time frames of summer vacation periods or even under emergency situations when a manufactured building is needed in weeks. Typically a store or restaurant requires open spaces and plenty of natural light, a layout that accommodates their customer as well as their staff/business needs, and a façade that appeals to foot traffic and leaves a good first impression on their clientele. Manufactured homes and buildings can easily meet those needs and more, which is why stores and restaurants are increasingly turning to manufactured buildings. When a small to medium size business chooses manufactured construction, they’re doing so in order to save their company costs, but also to minimize the interruption of business activities. The likelihood of delayed or extended construction with manufactured construction is minimized. There’s a common assumption that the trade-off for faster, cheaper construction is limited design options; however, this is largely incorrect. While your design options aren’t limitless, quite a bit of customization is indeed available. 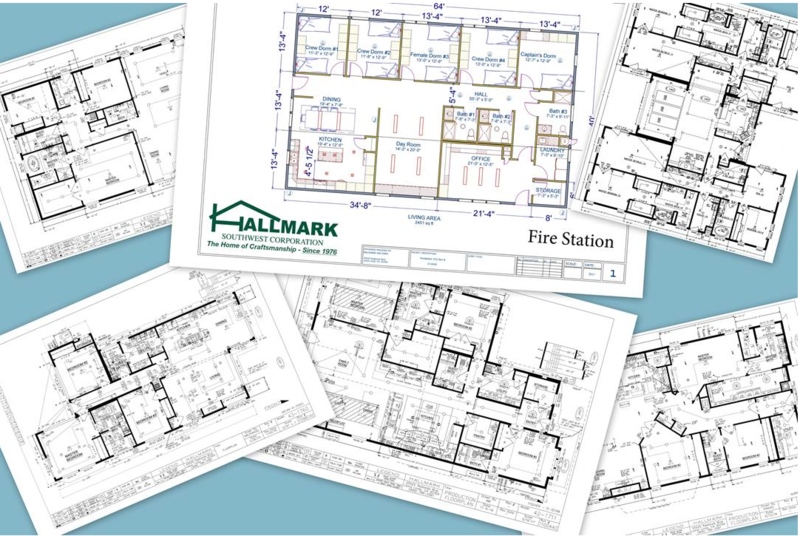 When it comes to prefabricated labs and tasting rooms, an important consideration is layout. Can the layout meet your research personnel and tasting room visitor’s needs? Though it can’t give you complete customization like traditional stick-built construction, manufactured construction can give you the flexibility you’ll need. • What will you be using your manufactured home or building for? • How large of a manufactured building do you need? • Will you need a custom-designed building or standard construction? • How soon do you need it? • What is your estimated budget? • Do you need this building for permanent or temporary space?